With a pacifier holder you always have a look at where the baby's pacifier is! Choose your favorites from our range and match with our stylish pacifier with other clothes. Attach the pacifier holder to your child's clothing and the pacifier is always at hand when comfort is needed. 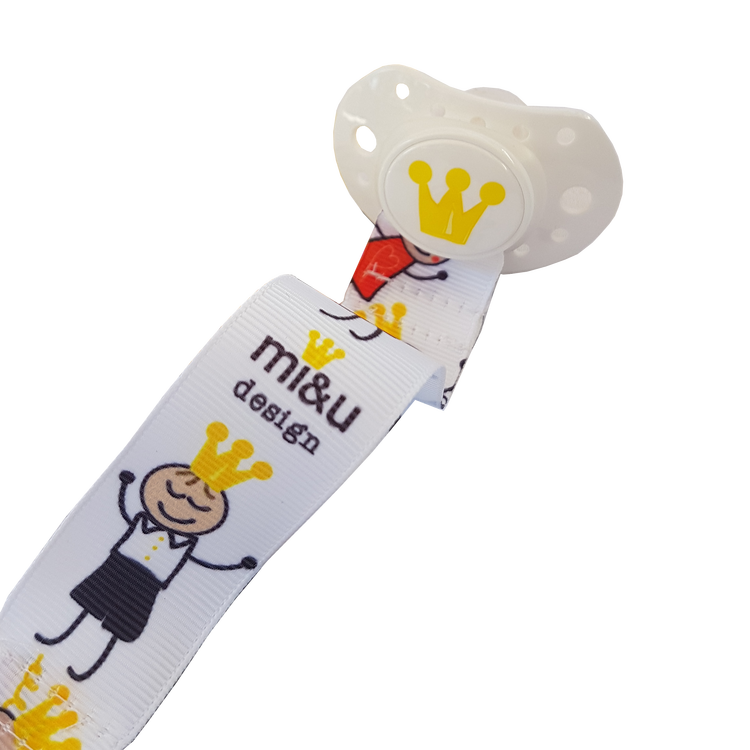 Made according to current EU standard with a durable metal clip and an elastic ring that makes the pacifier holder suitable for most pacifiers. 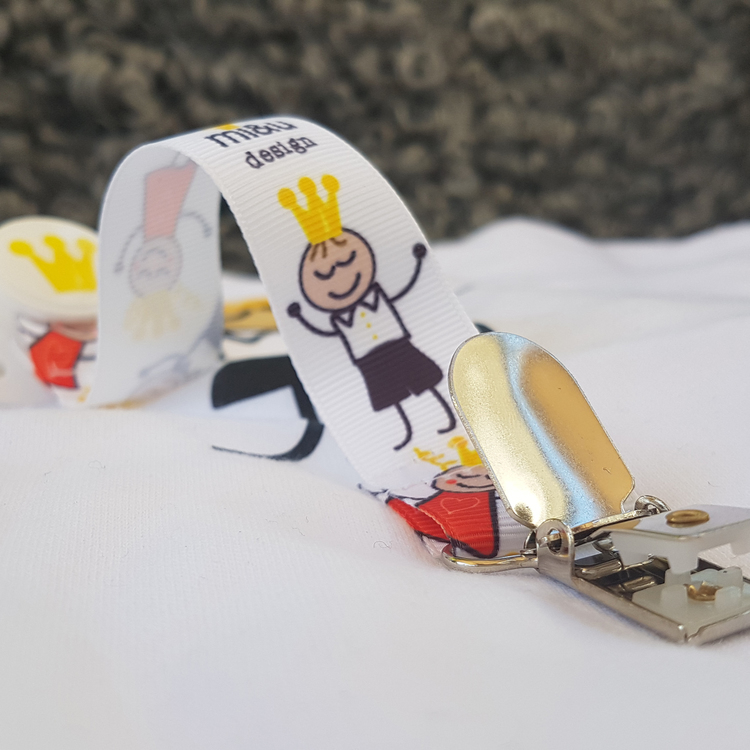 If your child has a pacifier with a ring then you first thread the end with the o-ring through the nip ring, then the clips through the o-ring so that it becomes a loop and tighten. 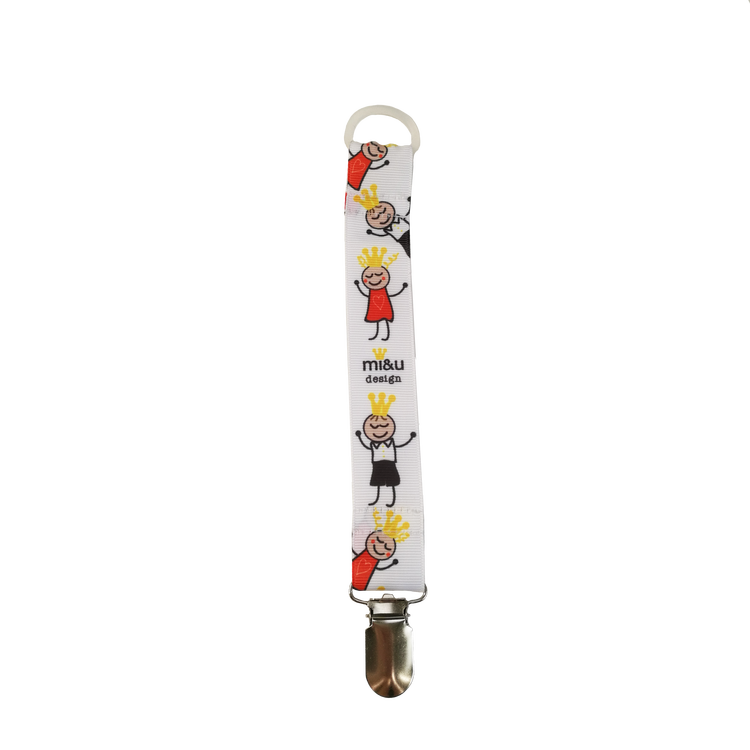 • Always use pacifier holders under the supervision of an adult. • Before use, check that the pacifier holder is full. • Do not extend the pacifier holder.